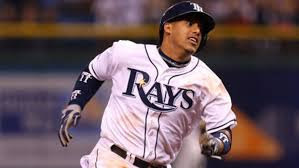 Veteran infielder Yunel Escobar is on his way to the Angels from the Nationals in exchange the Nationals get reliever Trevor Gott and Minor League pitcher Michael Brady. Escobar will likely play 3rd base but can play 2nd base if David Freese is brought back. Escobar had a decent 2015 season in which he batted .314/.375/.415 with nine homers and 56 RBIs in 139 games.